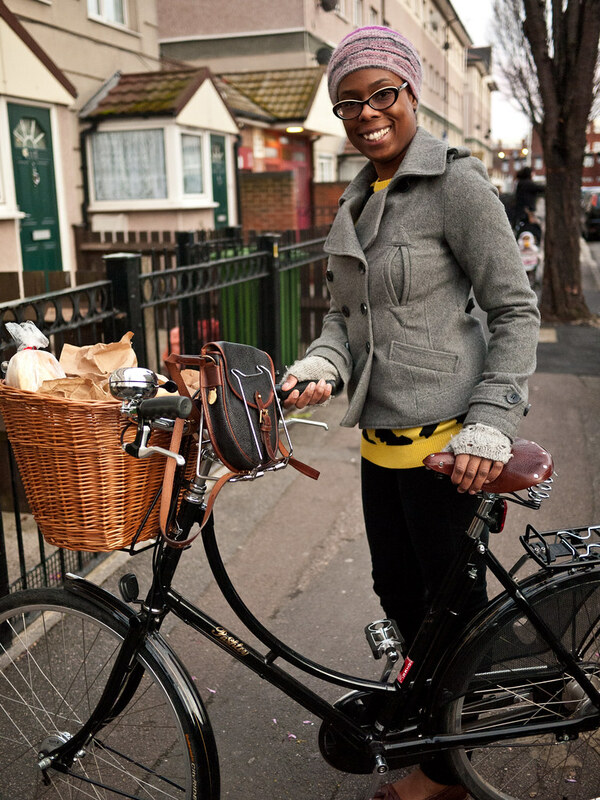 They both sat on the front of my Pashley with no problems. The Hugger attaches to the handlebar stem with two screws and bolts - a simple method which takes only minutes to do and with no mechanical skills necessary! The position of the attachment didn't interfere with the leather straps of the Basket, so no issues there at all. 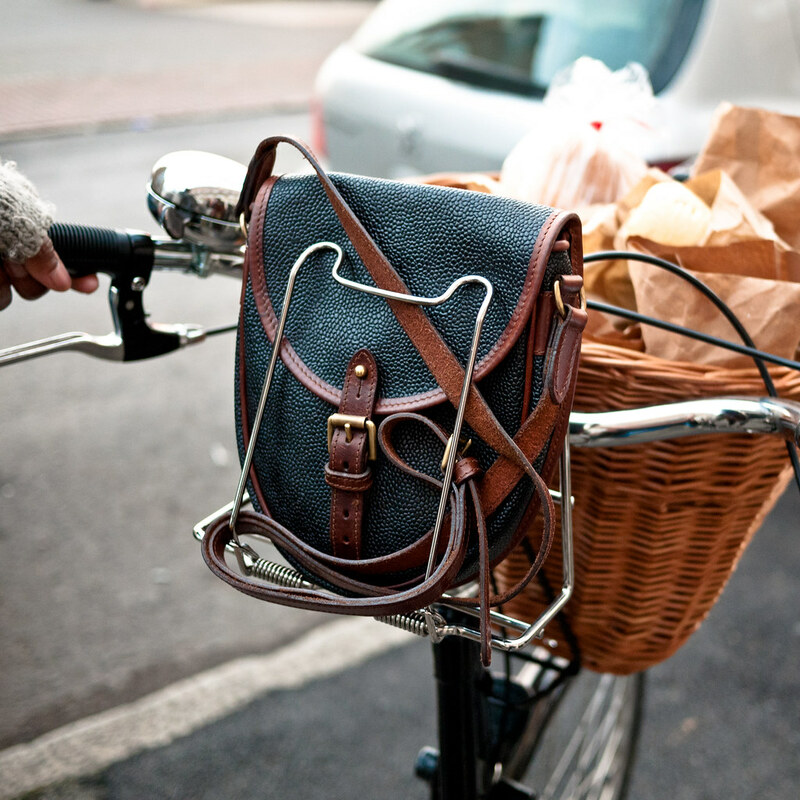 My bag of choice on the shopping-cycle was my Mulberry Messenger. Its one of my favourite handbags, so I'm quite precious over it. The Hugger held it in place securely: with its spring loaded grip function, it didn't slip out when riding, and wasn't dislodged when I went over any bumps in the road. Getting into my bag while it was in the Hugger wasn't a problem either - although it provides a secure grip, I could still get stuff out of it with ease while I was on the move. 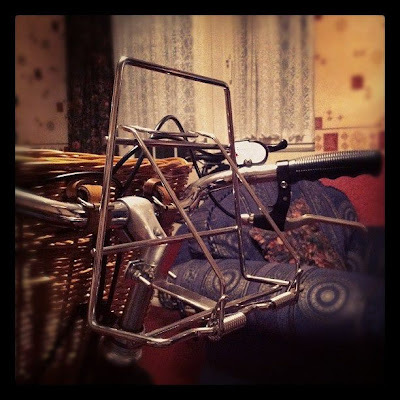 Overall, I'm very pleased with the Handbag Hugger: it's easy to attach to my bike, secure & from an accessorising point of view, the Chrome goes really well with the Pashley! The other thing that impressed me about the Hugger is that the grip didn't leave any marks or scratches on my bag - this was another of my concerns with it, but I'm glad to report nothing of the sort happened. 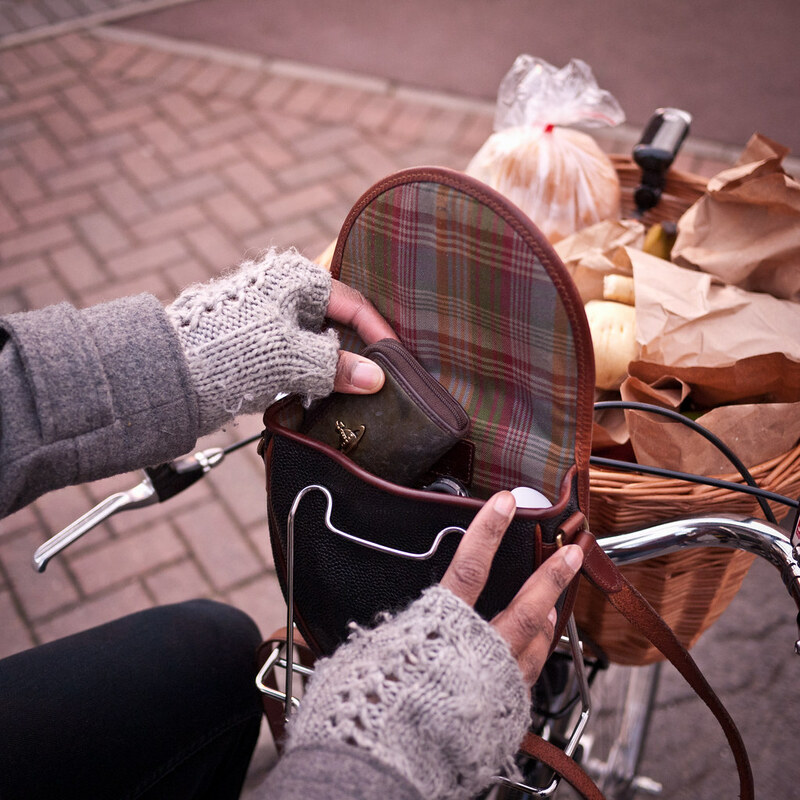 The Handbag Hugger is available from Cyclechic.co.uk, and retails at £19.99. *The Handbag Hugger was kindly gifted to VCG for a review. wonderful! 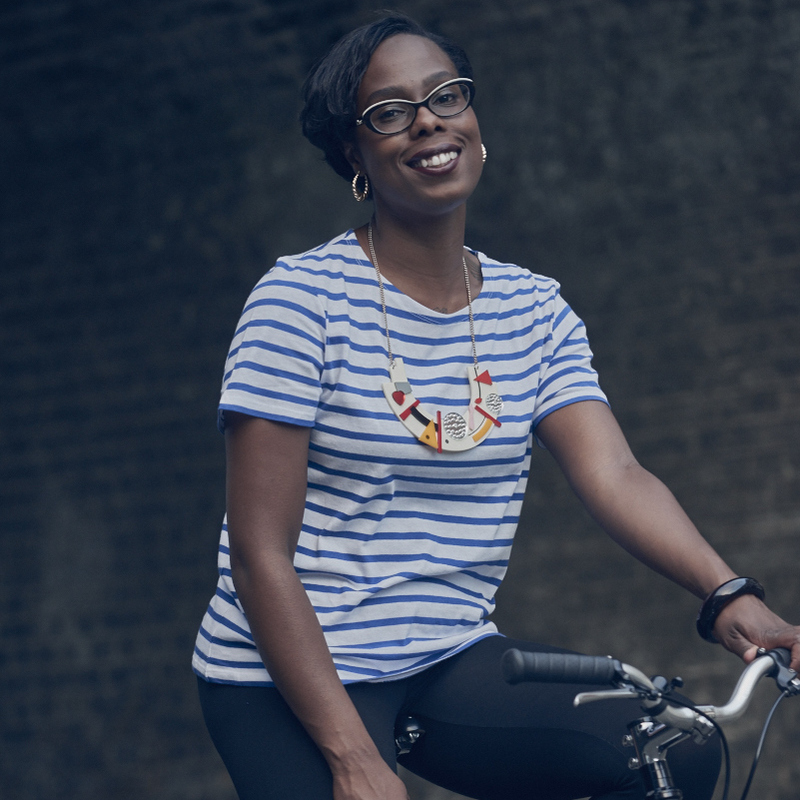 thank you for the review- i hate having to switch my purse contents over to a backpack each time i cycle and it seems this is the perfect solution! 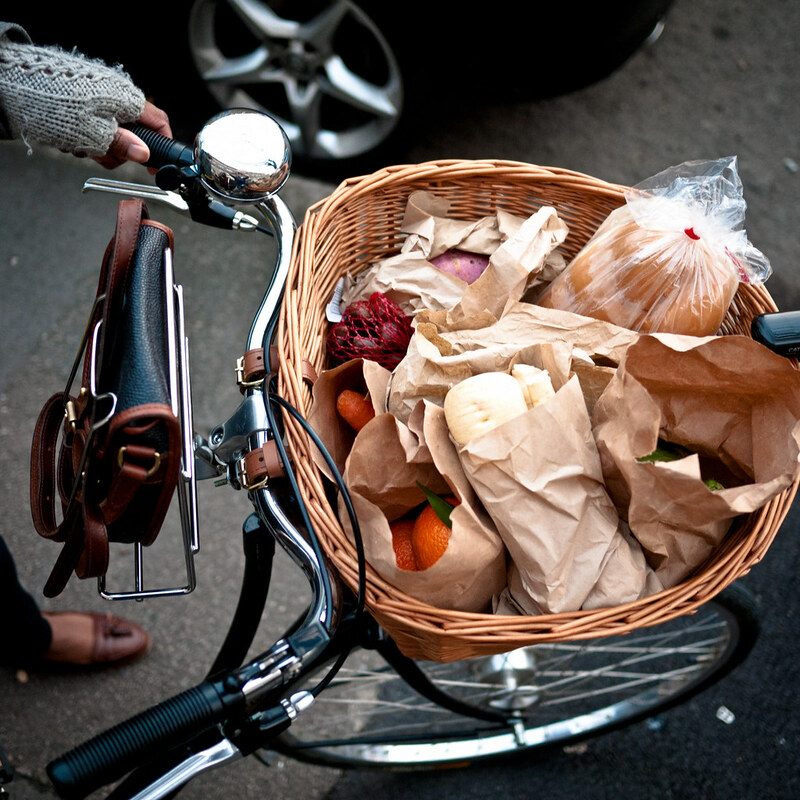 I have the same bike (love it SO much) so this would be great - leaving that huge basket for shopping or whatever. (Long since abandoned my efficient panniers.) But weren't you worried about security? I'm a bit concerned that a bag could be snatched easily, which is also a concern when using the basket. I suppose I've been spoilt by years of having everything tucked away in my panniers. Although also inaccessible TO ME of course! The security of the Handbag Hugger was great -I can totally understand your question though! As it was infront of me, it was always within my sight, and the spring function on there held onto my bag very tightly. I was also able to loop my bag handle over my hand while cycling, if I was extra worried about anything happening. Thank you for your kind words on my blog - having a read of yours and liking it a lot! The Handbag Hugger is a great idea! The Po Cambo bags help this issue with their straps that allow their bags to hang over the bars, but this is a less expensive option and lets you stick with your own tried-and-true bag. I can't believe I've not seen this before. My own everyday bag might be too big for this, but this does give me a reason to switch back to a smaller bag more often instead of always plopping my big bag on my front rack. Gives me more space on my front rack too.